Boone Central/Newman Grove returns to the Nebraska Boys State Basketball Tournament Thursday for the first time since 2014. This will be the third time the Cardinal program has qualified since beginning the cooperative with Newman Grove. Boone Central qualified twice following the merger with Petersburg, and the Albion Cardinals made 18 trips to Lincoln. Petersburg played in a single boys state tournament and Newman Grove previously qualified for state competition 22 times. Add it all up, and the three schools definitely have some tourney history. The 2017-18 Cardinals will be looking to write their own chapter of history, beginning with their first-round contest vs. Broken Bow Thursday at the Bob Devaney Sports Center (2 p.m.). 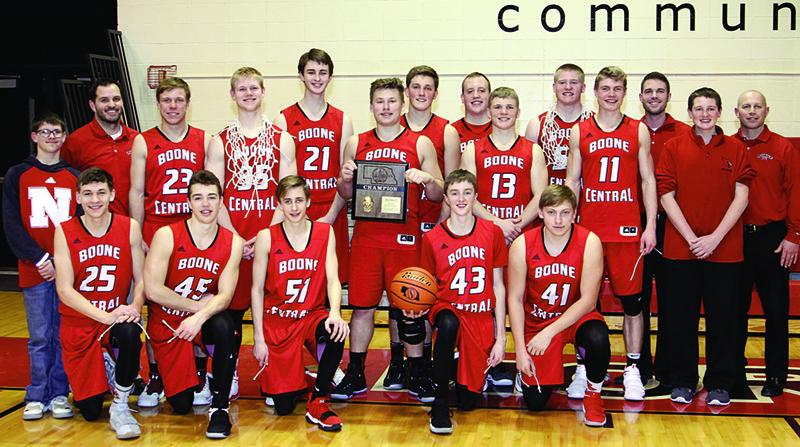 Boone Central/Newman Grove is familiar with its opponent, having defeated the Indians 49-45 in the Boone Central Holiday Tournament and, again, in the C-16 Sub-District final (62-52). If victorious for a third time Thursday, the Cardinals could have a postseason rematch in the semifinals, as well. The BC/NG-Broken Bow winner will face the first-round winner between Winnebago and Syracuse Friday at Pinnacle Bank Arena (10:45 a.m.). 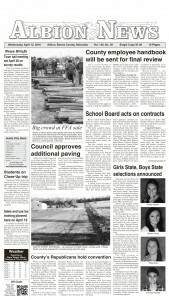 Boone Central/Newman Grove edged ‘Bago 63-62 in last week’s C1-3 District championship game. The Class C1 state championship game will be played Saturday at Pinnacle Bank Arena (9 a.m.). There will be a C1 third-place contest Saturday at Lincoln East High School (11 a.m.). Fans will be able to purchase state tournament tickets at all game locations. Advance tickets are also available online at https://nsaahome.ticketleap.com. Once again, the 2018 Nebraska Boys State Basketball Championships will be televised Saturday on NET. The games can also be streamed live at netnebraska.org.